Why Study Sociology or Social Work at Juniata College? From transforming a small community through social work, counseling, analysis, or consulting to careers on a global scale, Juniata's graduates in sociology and social work make a difference. Gain experience in a multidisciplinary department: Participate in a wide array of internship, field experience, and service-learning opportunities. At Juniata, we have study abroad programs which all benefit sociology, and social work students. And speaking of social work, social work students combine their extensive field experience with required coursework to earn a bachelor's degree in social work (or B.S.W. ), a credential that helps our graduates land professional employment quickly and pursue graduate studies with advanced standing. Research: Explore vital social science questions through research and, while you do, gain knowledge of research theory and methods. Research is a strong foundation for graduate school or a host of career pursuits. Find support: Develop collaborative working relationships with faculty, peers, and the community. Most introductory classes have fewer than 30 students, and upper-level classes have between 5 and 15 students. 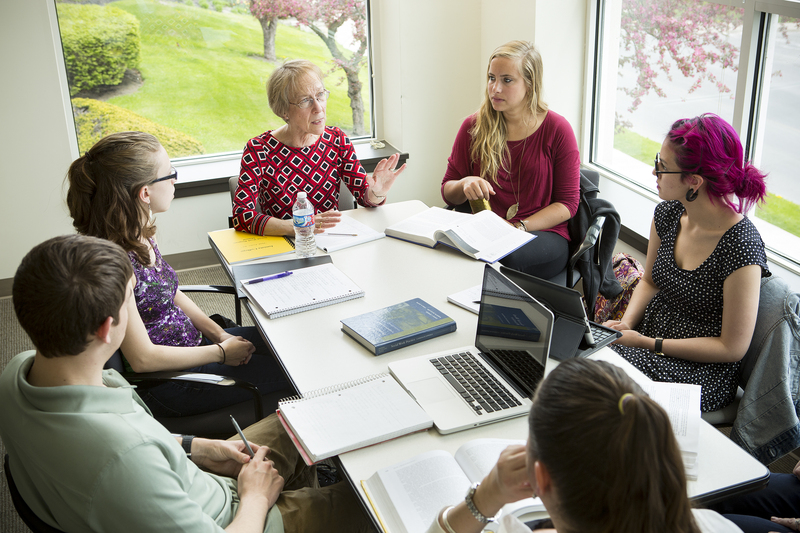 Experience expertise: Juniata's social work program is accredited, meaning that students who graduate from our program can often complete a master's degree in social work in one year instead of two. Gain vital experience interning, volunteering, studying abroad and trying specialized programs, such as Urban Immersion. Mold your own program of study to include social work, sociology, and, well, anything. Research as an undergraduate. Present your findings at Juniata’s Liberal Arts Symposium and at other undergraduate research conferences. Work at social organizations or pursue graduate study in a variety of fields, including bioanthropology, forensic science, social welfare and archeology.